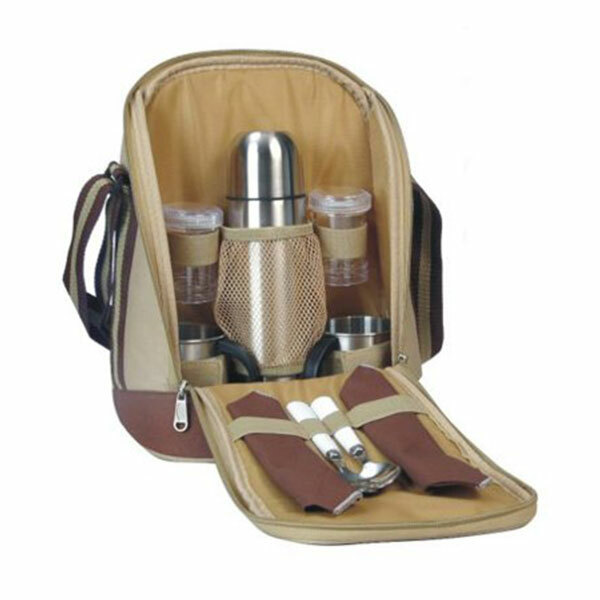 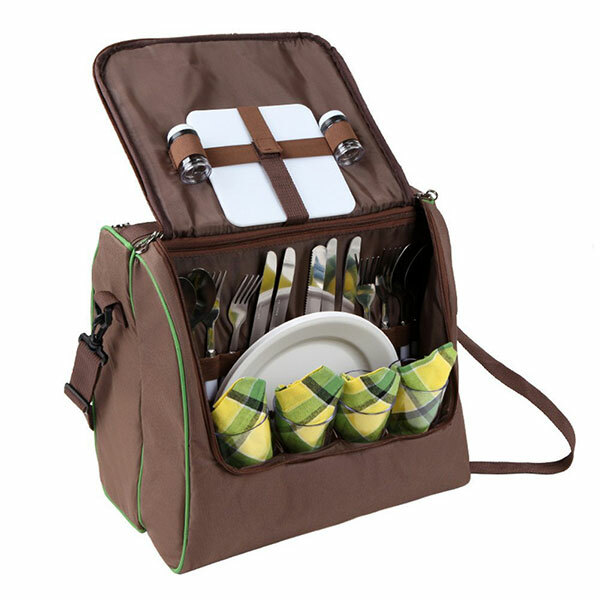 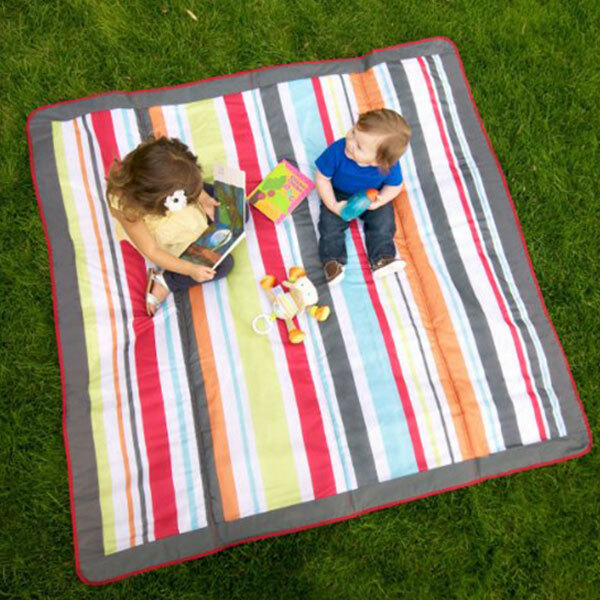 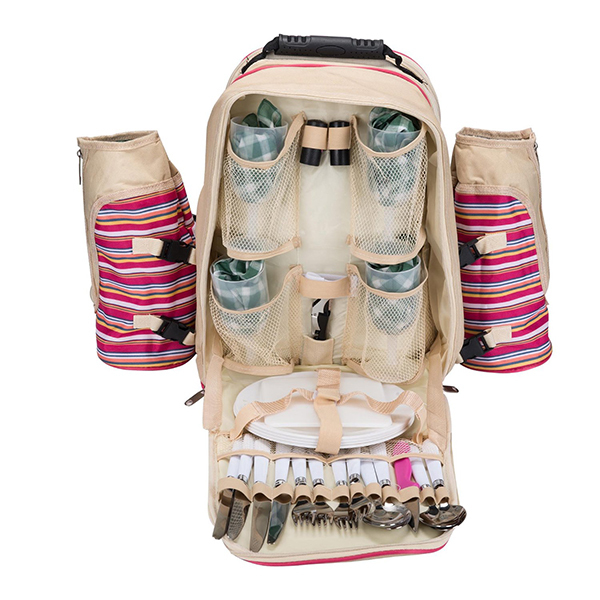 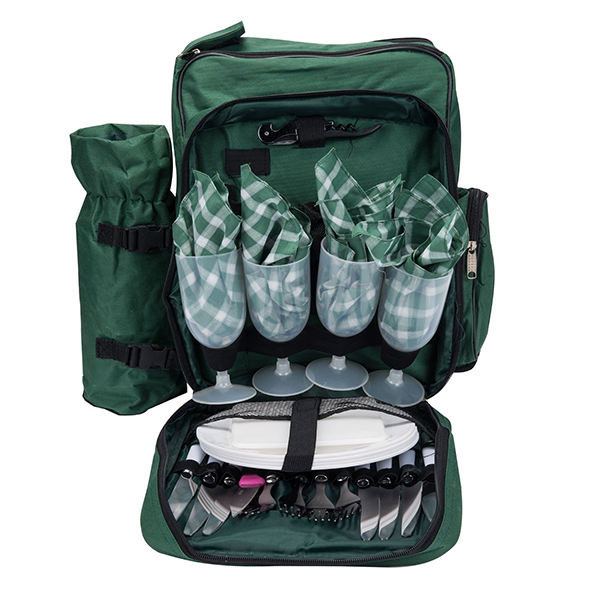 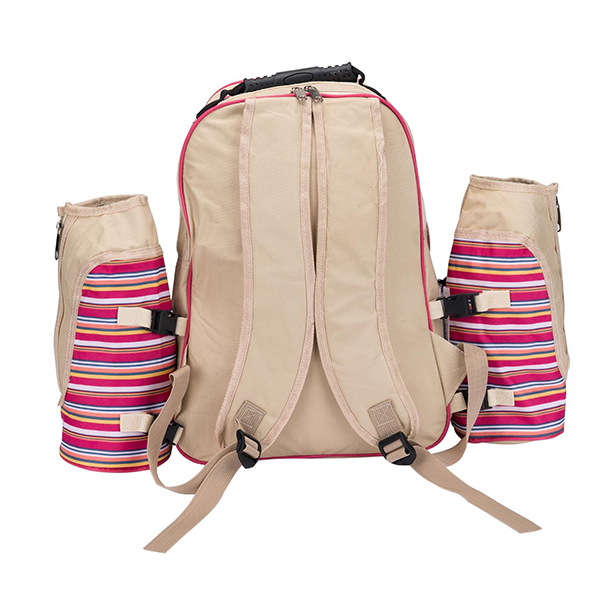 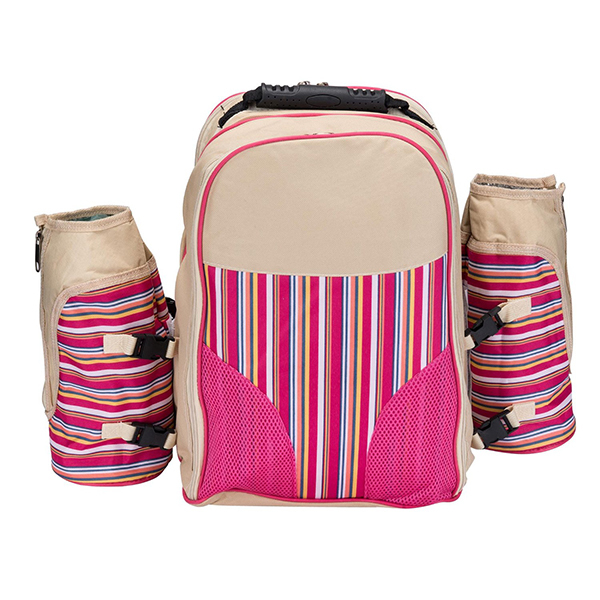 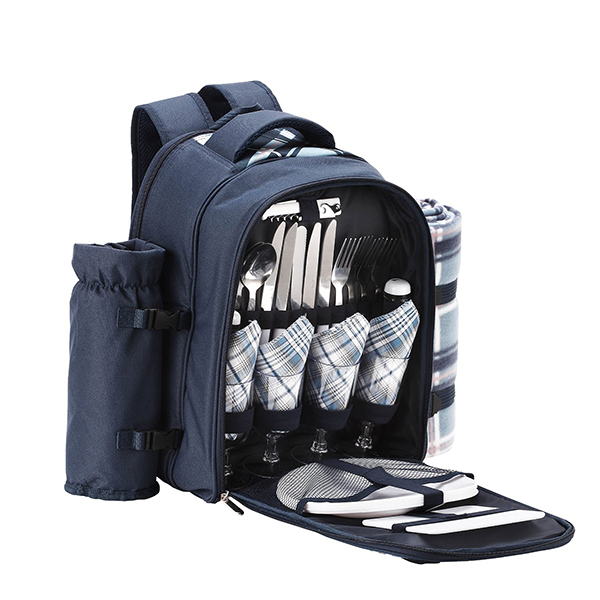 The Picnic Backpack will keep you organised with all the picnic bits you need in one bag catering for up to 4 people. 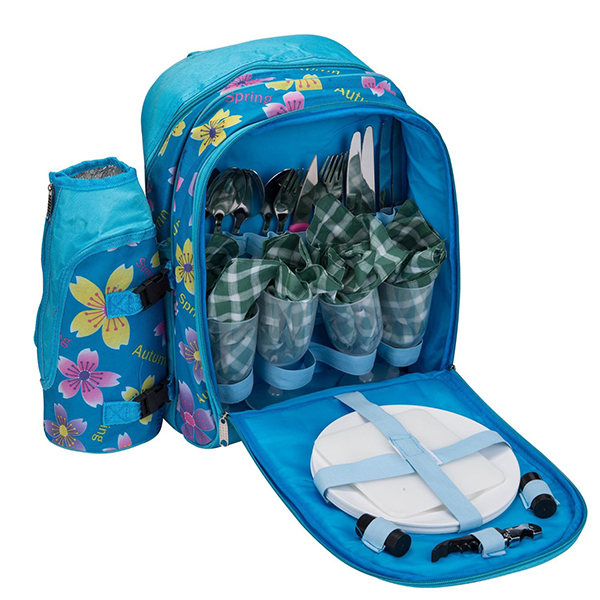 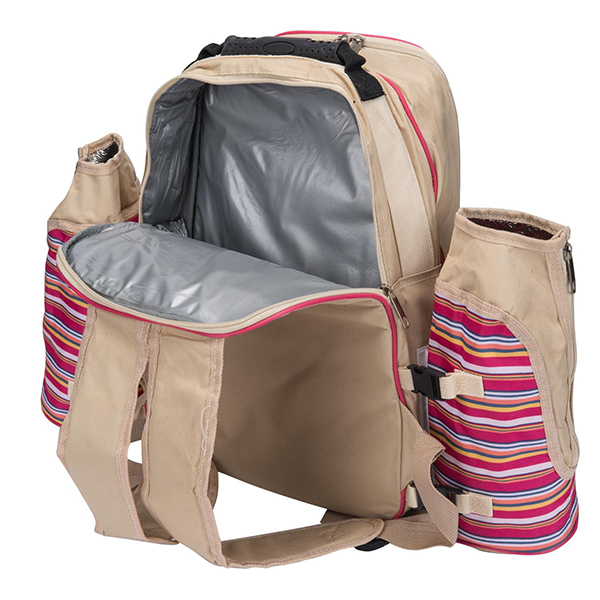 Inside the backpack features a cooler compartment, ideal for storing your picnic foods such as fruit, sandwiches, cold meats and cheeses. 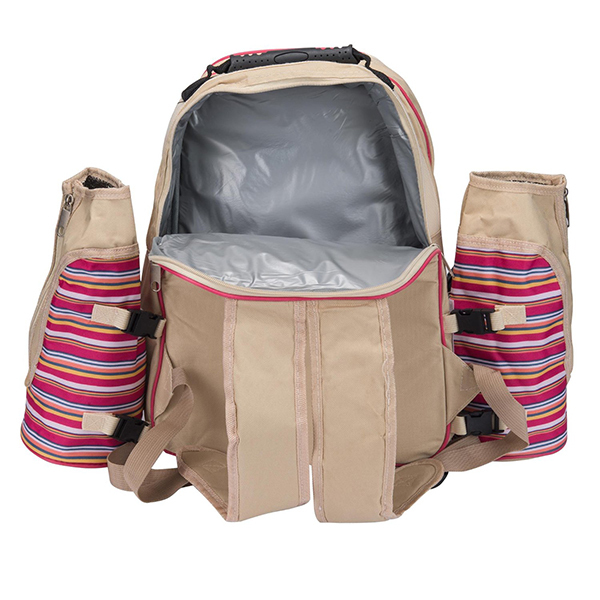 Made from PEVA and a polyester lining the cooler compartment will keep your food fresh and cool whilst zipped up securely. 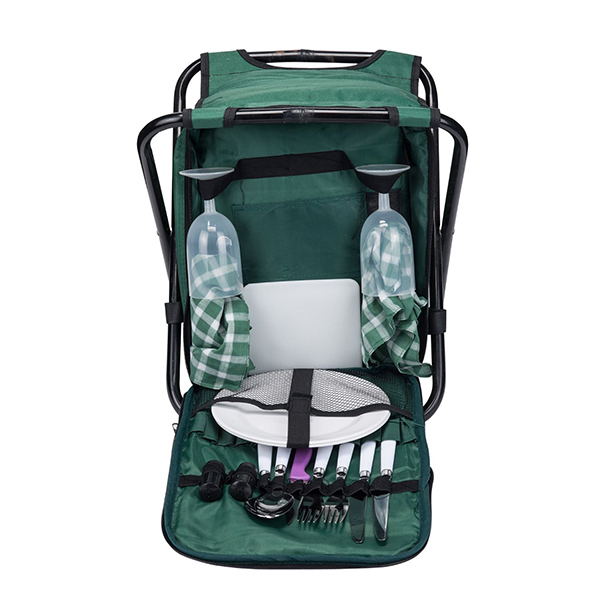 -Cooler compartment to store your picnic foods in such as sandwiches, cold meats and cakes whilst keeping your food fresh and cooler for longer. 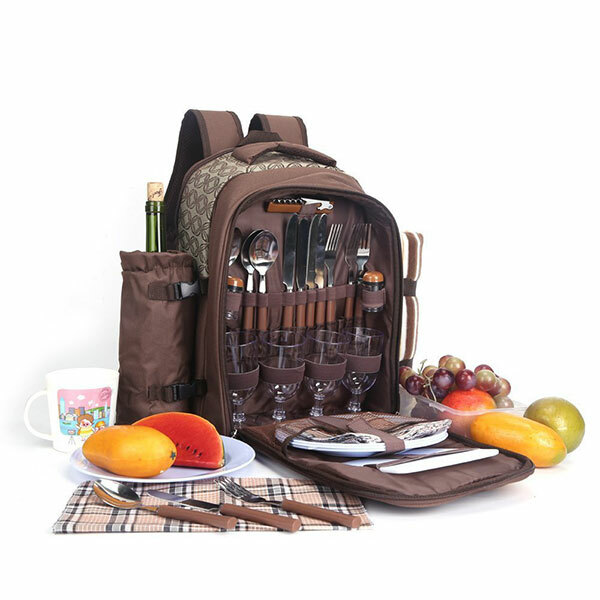 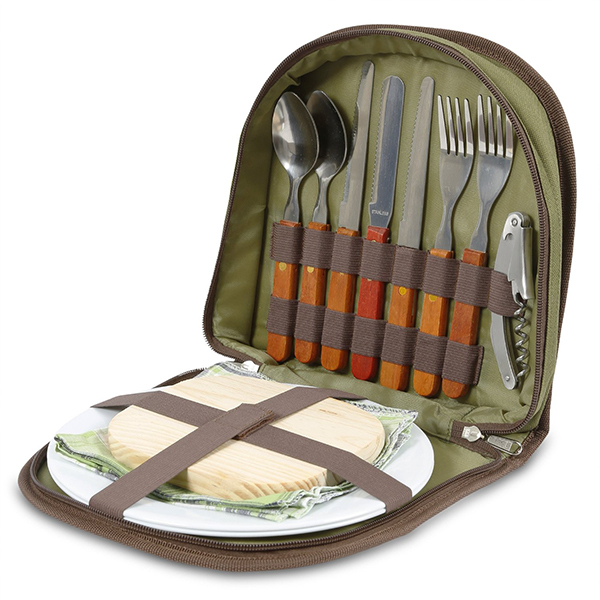 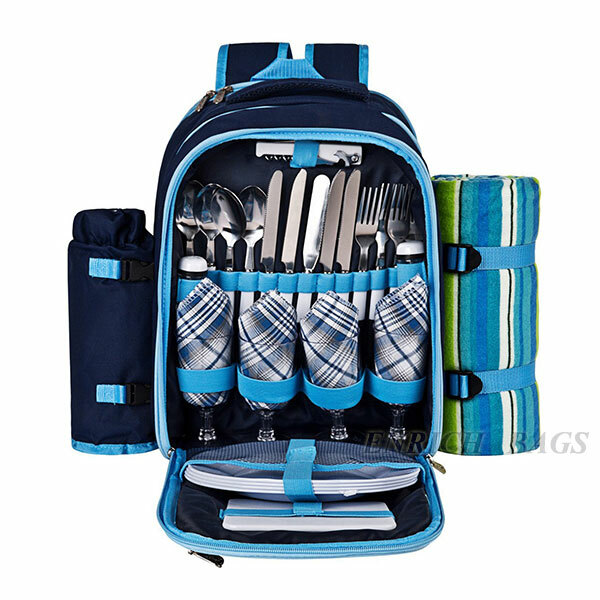 -Ideal to cater for 4 people and includes all the essential flatware items needed for a small picnic - 4x stainless steel knives, forks, spoons, dinner plates, cotton napkins, wine glasses and 1x bottle opener.